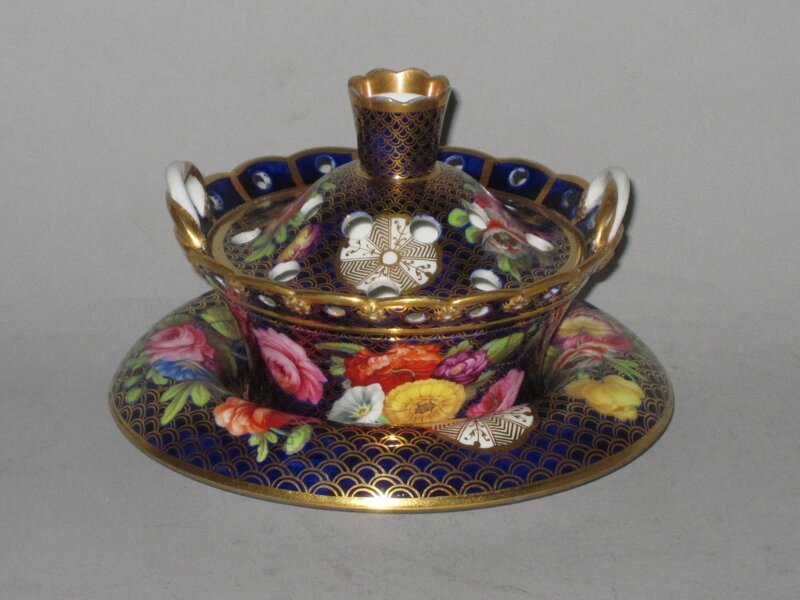 SPODE POT POURRI BOWL,COVER & STAND. PATTERN 1166. ASPODE PORCELAIN POT POURRI BOWL, COVER & STAND CIRCA 1815. DECORATED IN PATTERN 1166. The pierced cover sitting with a two handled bowl or basket with a scalloped and pieced border, and resting within a turned down round stand.